All Extreme Trailers are designed, manufactured and built in Great Britain to ensure the highest of quality. 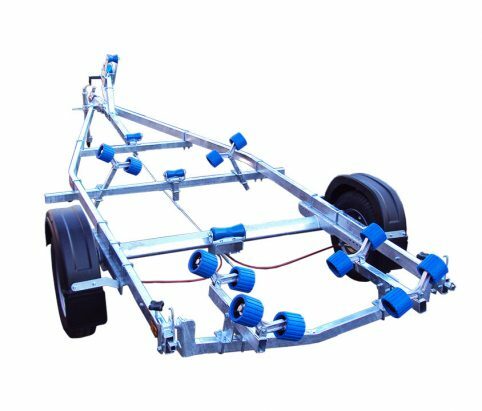 Our boat trailers are ‘hot dipped’ galvanised to BS EN ISO 1461 standard, and use U-bolt construction allowing each boat trailer to be fully adjustable to suit most boat hulls. We only use high quality parts including AL-KO axles, Dutton Lainson winches, waterproofed sealed bearings and our own in house made Wobble Rollers. All Extreme Trailers come with a light board, winch* and certificate of conformity as standard.